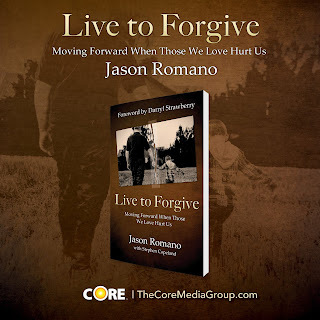 I recently had the opportunity to read the soon to be released book Live to Forgive: Moving Forward When Those We Love Hurt Us by Jason Romano. I have to admit that when I was first given the opportunity I came up with lots of reasons not to volunteer. When I realized the real reason I didn't want to read it was because I was trying to hide the unforgiveness in my heart I knew it was God's way of ensuring that I did read it. I'm willing to bet that if you stopped to think about yourself, there is at least one person that comes to mind that has hurt you and you just can't bring yourself to forgive. If you thought of a person then this book is for you. 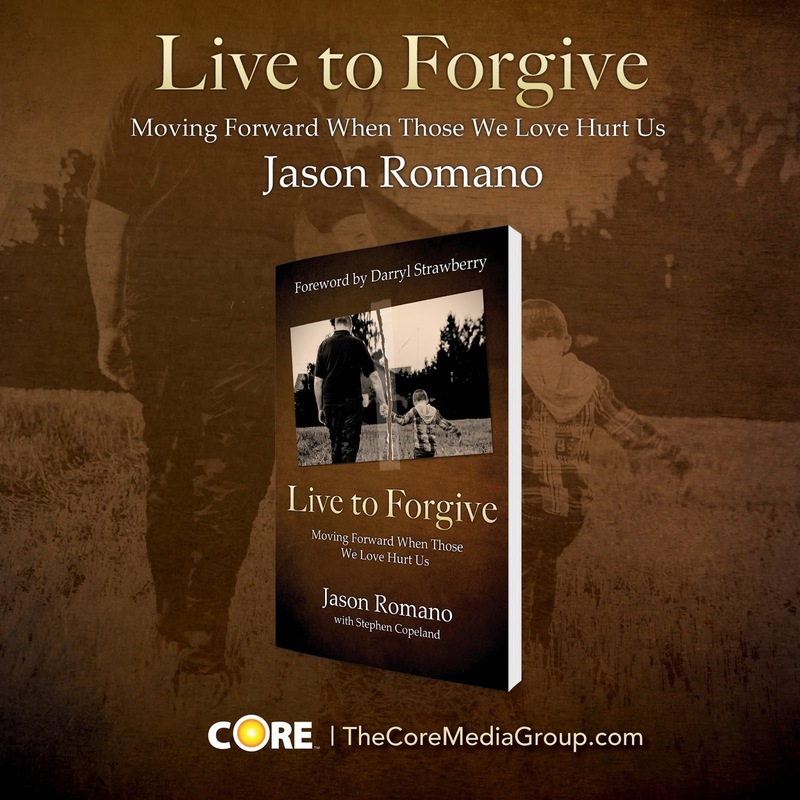 Live to Forgive is Jason's personal story about his life and ultimate forgiveness of his alcoholic father. He winds us through an emotional tale that is very easy to relate to. Yes you may not have had a relationship with an alcoholic parent, but the toll it takes on Jason is easy to draw parallels to in your own life as he takes you through his journey. He talks about how he processed and ultimately came to forgive his father and how that reconciliation continues to this day. There is no perfect way to handle every situation but the simplicity Jason lays out to feel, evaluate, transform and forgive is a message so many of us need to hear. When dealing with a hurt one thing that is important is "Creating boundaries keeps your own heart and mind in your space so that you can live a healthy life." In one part there was a Timothy Keller quote, "From the earliest parts of the Bible, it was understood that God could not forgive without sacrifice." That I liked, it made real the fact that forgiveness is really hard, that it costs you something. Why shouldn't it thought? How do we think we are going to be any different if God needed a sacrifice, why wouldn't we? There is a sacrifice in your forgiving, but there is healing and a benefit to you. The value to you far outweighs the cost. In Matthew 18 Peter asks Jesus how many times he has to forgive a brother that sinned against him. Jesus response in verse 22 "I do not say to you, up to seven times, but up to seventy times seven." I like how Jason explains that the words of His response were "not meant to be taken literally; instead, they hint at the unending, lifelong process that forgiveness entails." In Gods eyes we as individuals are no better or no worse than the person we need to forgive. If God can forgive whatever that person has done in their life what right do we have to continue to hold judgement against that person? We are all equals. Our forgiveness can't have conditions. So often we tell ourselves that we can forgive once the other person realizes what they've done or will apologize. Forgiveness isn't taking away the hurt they've caused. It isn't any statement saying what they did is okay. It is about changing something in yourself to allow you to move on and breakthrough in your own life. I would guess that we all have a person that we need to reach out to in an act of forgiveness. If you are thinking of someone do yourself a favor and order a copy today. The book will be generally available on January 15th at Amazon and other retailers but if you order here by December 20th you can get it by Christmas.